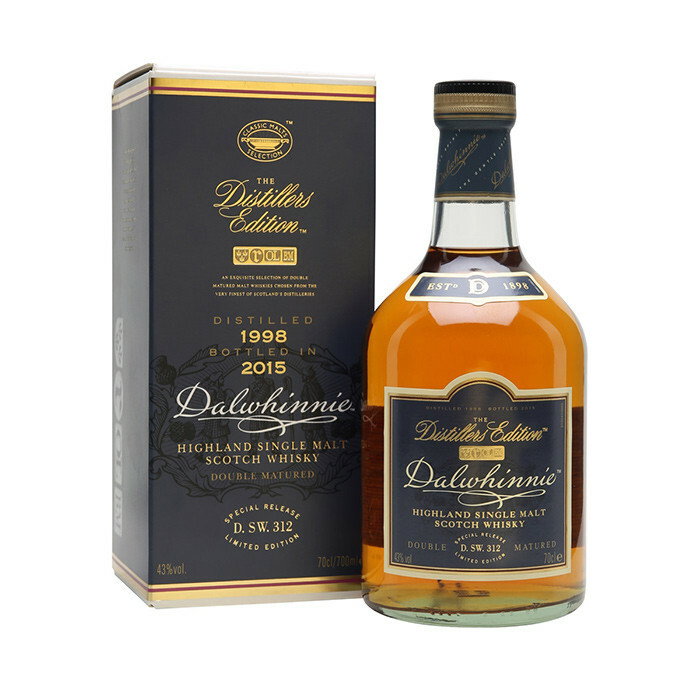 The Dalwhinnie Distiller’s Edition is a variation on their well-known 15 year old single malt. It forms part of the Distiller’s Edition range under the Diageo company, a variation of their excellent Classic Malts range with different finishes. The Dalwhinnie Distillers Edition comes finished in Oloroso sherry casks. Dalwhinnie Distiller's Edition is finished in casks that previously held oloroso sherry, so we recommend you sip it neat. Nose: Fresh sherry embraces the maltier, more honeyed aspects of Dalwhinnie. Peaty and surprisingly, still heathery. Spicy yet grapey. Overall: A Highland whisky with a lot of Oloroso influence.